Beware the Fuel Cell Semi-truck. If you are a truck driver, you may want to pay attention to what is happening with truck design trends. Companies Tesla and Nicola are testing all electric drive transport trucks. 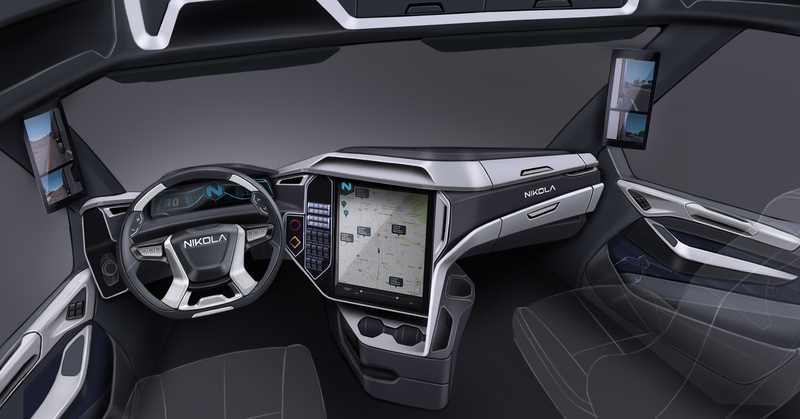 The Tesla version uses a battery while the Nicola uses a hydrogen fuel cell to generate the required electricity. But here is the part to pay attention to. Electric drive vehicles are the main focus for autonomous ( driverless ) vehicle research. Once we have efficient all electric driverless trucks we will not need long or short haul drivers. The same goes for bus drivers and taxi drivers. Food for thought as the research progresses on fuel cell semi trucks. Nel ASA has been awarded a contract for delivery of 448 electrolyzers and associated fueling equipment to Nikola Motor Company (Nikola) as part of Nikola’s development of a hydrogen station infrastructure in the US for truck and passenger vehicles. Under the multi-billion NOK contract, to be deployed from 2020, Nel will deliver up to 1 GW of electrolysis plus fueling equipment. The company reiterates a potential major expansion of the production capacity at Notodden to accommodate the contract order. We are immensely proud of announcing this 1 GW electrolyzer contract with Nikola for the exclusive delivery of 448 electrolyzers and supporting fueling equipment as part of their groundbreaking development of a hydrogen station infrastructure across the US. The multi-billion NOK contract is by far the largest electrolyzer and fueling station contract ever awarded. 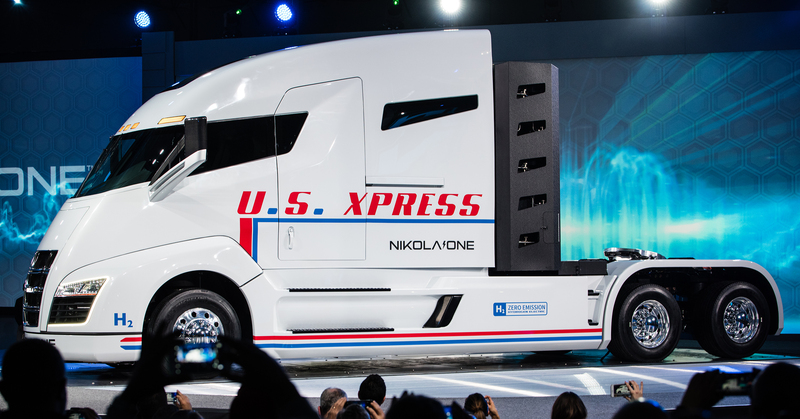 It will secure fast and cost efficient fueling of Nikola’s fleet of hydrogen trucks, delivering support to major customers like Anheuser-Busch, as well as a growing fleet of Fuel Cell Electric Vehicles. We look forward to working with Nikola on developing the world’s largest, most efficient network of low-cost hydrogen production and fueling sites. The future for zero-emission trucks has never been brighter. Nel’s electrolyzers are efficient and reliable, making them a natural backbone for our station infrastructure. We’ll begin fleet testing the Nikola hydrogen electric semi-trucks in 2019. The first two stations will be installed in Arizona and California depending on permit timelines. The next 28 stations will be installed on each route outside of Anheuser-Busch’s Breweries or their distribution centers. Each station will produce 700 bar and will be compatible with class 8 trucks and consumer cars. This is an incredibly exciting time and we have now contractually set in motion the largest network of hydrogen in the world. Interesting article about such novelities in motorization.